I have FINALLY started Project Life!! Yippee!! I first saw this over at AliEdwards.com and instantly fell in love with the simplicity of it. Of course all the bright, happy colors and graphics attracted me too! You can make it anything you want it to be. So for me, I’m going to use it for ALL those pictures that I want to keep but not dedicate a whole scrapbook page to. I hope to stick to a weekly entry and incorporate multiple products and image cuts. Hopefully, life won’t get in the way of accomplishing this goal. Wish me luck! I used the new Cricut Circle cartridge, Letter Envy Font, for the numbers. I’m already loving this cart! 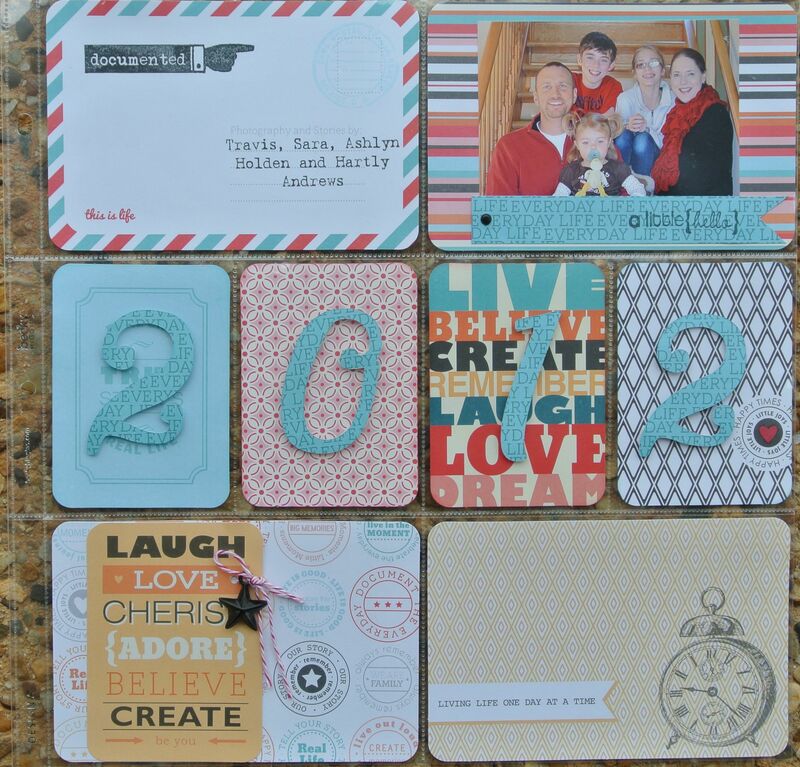 If you’re interested you can check out http://www.BeckyHiggins.com for Project Life details and products. 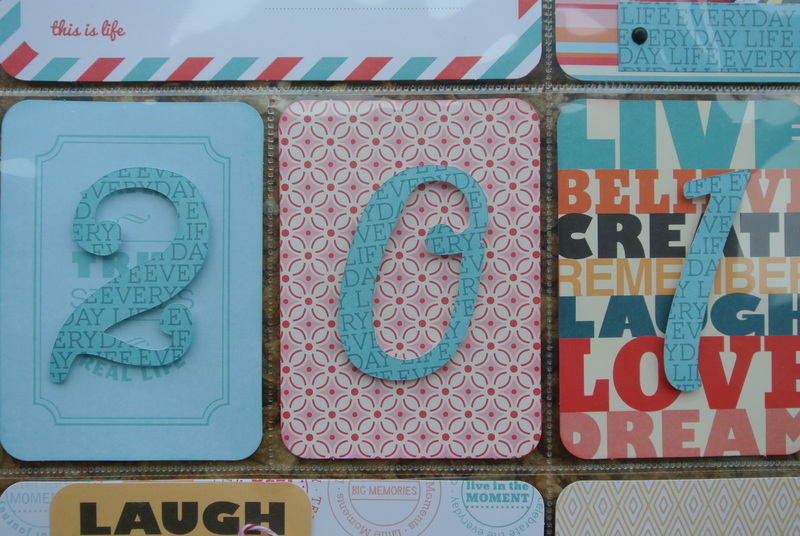 I love the vertical elements of the year – great colors too! A lovely page and the perfect way to kick off 2012. How did I not know you had a blog???? I had to nose around to see your posts and I love them! I love this project — I need to do this to get all my pictures and things processed and organized!! … off to catch up on your blog!